High quality sativas produce clear psychoactive effects, without the feeling of sleepiness or tiredness. 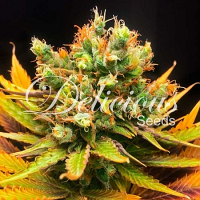 Royal Haze Feminized Cannabis Seeds by Dinafem Seeds: High quality sativas produce clear psychoactive effects, without the feeling of sleepiness or tiredness. 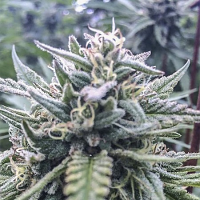 The presence of THCV, a compound that makes the stimulant effect of THC stronger, and the absence of CBD are key factors to the length of the effect, as it can last for several hours, without the sensation of lethargy or tiredness. It is not easy to create this quality of plants whilst maintaining high production. 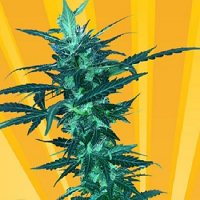 Royale Haze meets both requirements: the effect is true sativa and it produces like crazy as long as its gets a lot of light, plenty of water, a lot of fertilizer, and just 70 days of flowering. 10%-20% of plants can manage 75 or even 80 days, but most of them are ready in 70 days. The aroma is really spicy, with a subtle sweet skunk tone in some of them which is rich, complex and tasty. It can easily be grown outdoors, even in cold and mountainous climates of Southern Europe, as it is harvested relatively early towards the end of October. 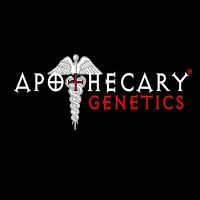 Out of the 3 sativas that Dinafem have produced, this is the best mixture of extreme strength, sativa quality and high production. It is completely suitable for a SCROG.